Deposit in the present calendar week and AUTOMATICALLY be entered into the Canadian Dollar Bingo STRIKE IT LUCKY Bingo Depositors Raffle at the end of each week this month. (Limited Time Offer)All tickets will be put into a “magic hat”, the winning ticket will be randomly selected by an automated draw system among all depositors, so everyone with at least 1 raffle ticket has a fair chance to strike it lucky. See you at Canadian Dollar Bingo this week. Bigger prizes and increased odds! Best way to get you started in the New Year. The Canadian Dollar Bingo Money Train departs every Monday and returns to the main room station every Sunday at midnight. Jump on the $10,000 Guaranteed Money Train this week in the Main Room and you could be walking away with $10,000’s in cash. There’s tons $25-$150 Guaranteed games, each week a total of $10,000 in GUARANTEED REAL CASH will be paid over the course of this promotion. BOOK YOUR SEAT NOW, join the fun in the main room every day and be on the lookout for the promotion patterns, besides the fantastic jackpots, you could be one of the FIVE lucky players to receive $500 in EXTRA bingo Buck prizes in the weekly draw. Ka-Ching! Since this is a random draw, all players who hop on the money train and with at least one ranking point will qualify to be one of the winners. All aboard for your chance to win! There will be freebies, deposit deals and special online bingo offers waiting for you. The more you play, the more you win! CHOO CHOO!! Do you like to travel? If so, how does a 7-day Air/Hotel plus $500 spending money sound to you? The Pick your Paradise Bingo Contest the BIGGEST Contest ever at Canadian Dollar Bingo! Offering more destinations and more cash for you to enjoy. Play online bingo with your friends in September and you and a friend could be on your way to sunny Cancun Mexico, Sin City Vegas or Orlando Florida. Regardless, if you prefer chill on the beach in Cancun, see shows in Sin City or just hanging out with Mickey and his Friends, we have the ONLY contest to get you there! Casino players, they also have you covered! Participate in the Daily and weekly contests and you could be on your way to a dream destination courtesy of Canadian Dollar Bingo. Play the exciting St. Paddy’s Day Bingo themed games and bingo on the lucky patterns to find the Leprechaun’s Pot of Gold between March 17th and until March 19th from 9pm-11pm in the Canadian Dollar Bingo main room. Make sure to wear some green when you play the massive top of the hour $2,500, $5,000, $10,000 Coverall Games and $50-$200 Guaranteed Gold Pots, including a Leprechaun hat, Shamrock, horseshoe, rainbow and a pot of gold among others. That’s not all! Bingo on the GREEN BINGO BALL and claim an additional prize in chat. Plus! You will all get more chances to be a online bingo lucky winner with our St Patrick’s Day Buy 30 Get 10 Free offer on all cards. Join Canadian Dollar Bingo and find your very own pot of gold at the end of the rainbow! Eat your way through $150,000 up for grabs at Canadian Dollar Bingo! As the weather warms up, it’s the perfect time to take part in one of the many food festivals happening this bingo spring in their bingo rooms! You will have the chance to win over $5,000.00 in GUARANTEED CASH EVERY week, a chance to hit a Jackpot of $5,000 EVERY day, the opportunity to win the $2,000 CASH Grand Prize plus over $2,000 in EXTRA Prizes this month! At the end of the month, Canadian Dollar Bingo will randomly select the $2,000 GRAND PRIZE winner from all four online bingo contest weeks. Remember, the more entries you collect, the more chances you have to win it. This week, from April 22nd- 30th is the Strawberry Food Fest! It’s a bingo-berry jubilee with more than 5 food booths offering strawberry everything — and lots of berry exciting surprises. The top FIVE players with the most strawberry treats collected at the end of the week will receive extra bingo buck prizes: 1st Prize $200, 2nd Prize $150, 3rd Prize $100, 4th Prize $50, 5th Prize $25 and a chance to walk away with $2,000 CASH at the end of the month. . The contest patterns include: shakes, funnel cake, cotton candy, beer and margaritas. See you at Canadian Dollar Bingo this week for the Spring Food Festival. 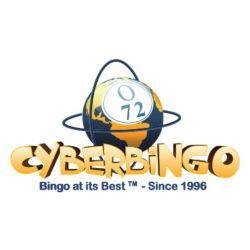 If online bingo is not your thing they still have you covered. Just play any of the qualified casino games from February 1st to February 29th and the top 5 players of each week will get amazing prizes! 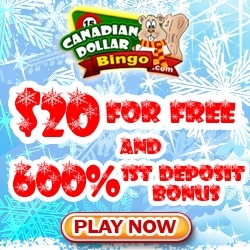 The Canadian Dollar Bingo qualified machines include – Parlay : Mini Living Large, Mini Get Cracking , Mini Wild Cherry 1 Line, Mini Trolling for Treasure, Makin Bacon and Full size slots – Bingo Slot, Vegas Slot, Atlantis, Transylvania, Big Top Circus and Mini Games – Cherry Crush, Royal Wedding, Vegas Style, Hot Rod Reels, King Arthurs Riches. It is cold outside, but it is getting hot at Canadian Dollar Bingo. Play the Creepy Colors Bingo chat game every day at Canadian Dollar Bingo. All players will have to pick a Letter B-The sky is blue I-the blood is red N-a ghost is white G-the grass is green or O-the witches broom is yellow. Pick your color; blue, red, white, green and yellow, then on all coveralls games during Jacki’s shift, the winner of the online bingo game and anyone that has that letter of ball bingo’d on gets to pick a number from 1-75. On Fridays 5pm Coverall game. Jacki will announce that this is the drawing and the players’ names that are on the first 5 balls called on that game are the Canadian Dollar Bingo winners. Good luck everyone and have fun playing creepy colors. This is your last chance to get in on the Bingo Toronto Indy Contest at Canadian Dollar Bingo. Players start your engines as there is over $60,000 in guaranteed cash and prizes up for grabs as CanadianDollar Bingo sends you and a friend to the Toronto Indy in June 12 -14, 2015! Plus; Two nights at a Four Start Hotel in beautiful downtown Toronto (walking distance to the CN Town, Blue Jay’s Stadium and the waterfront) and $500 Spending Money! Join Canadian Dollar Bingo until May 31st and look for the special Toronto Indy patterns playing two times each hour between 10 am and 10:59 pm. Every time you win one of these special patterns you will earn yourself one entry into our Grand Prize Draw. If you love casino games just as much as you love online bingo, there is more great news! Every week in May CDB will run a sensational Winner Takes All tournament for over $1,500 in CASH prizes to be won throughout the month!